We gained a deeper understanding about our design project after the first interview with our core audiences- Christian and Rafi. 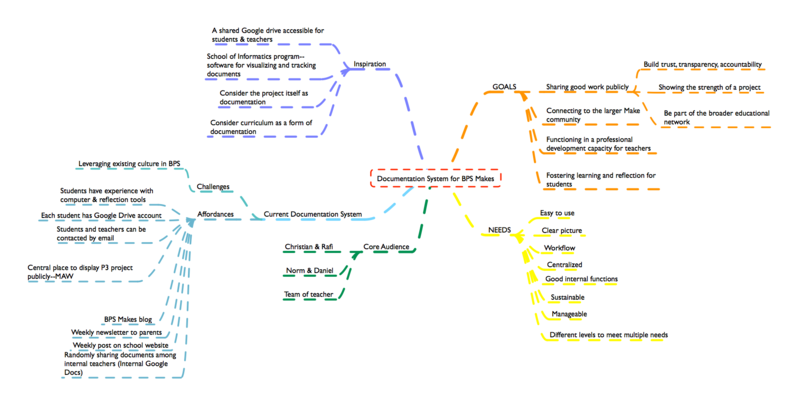 The overall goals, needs and the core audiences of our project were specified, and our team mapped out a clear picture of the affordances and challenges of the current documentation system in BPS. Most excitingly, Christian and Rafi provided us a lot of inspiration that we could take advantage for our designing. Below is a visual map we drafted for our project in order to clarifying and checking out with core audiences.